As for the future of desktop development, it is not going anywhere anytime soon either. I see a growing tendency to develop web applications, but we have to realize that both desktop development and cloud development have their pros and cons. Right now, I find web apps slow and I am guessing web apps are not as capable as desktop apps. The future of Windows development depends on the market share of Windows. If Microsoft can keep up their monopoly and your application is useful and interesting, I don't think users will ignore it. I think the difference between desktop development and web development is blurring, and as physical machines get more and more powerful, there will be less users complaining about performance issues and frequent updates. Why do we even bother to ask users if they want to update their software? I think such prompts are annoying like hell. It should be more preferable to install the updates silently and let the user use the application next time they run it. M1 Logix understands the importance of Client-Server applications & n-tier architecture in business operations. 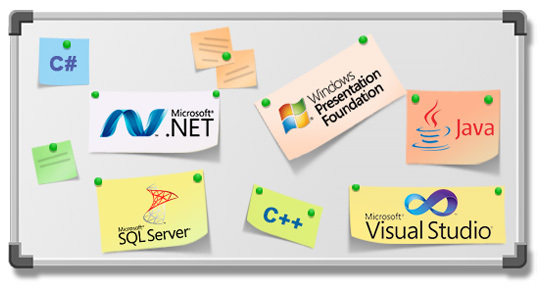 We specialize in development of high quality client-server applications with user-friendly interfaces.